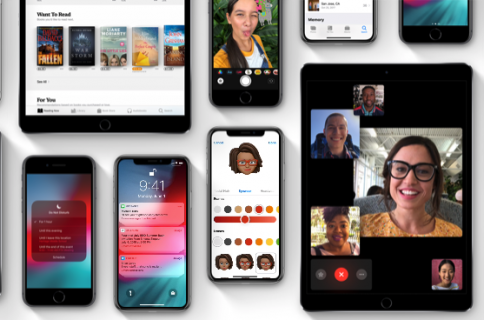 Having crossed the 75 percent adoption rate, Apple’s iOS 12 software has outpaced iOS 11’s adoption around this time last year, according to fresh data from analytics firm Mixpanel. 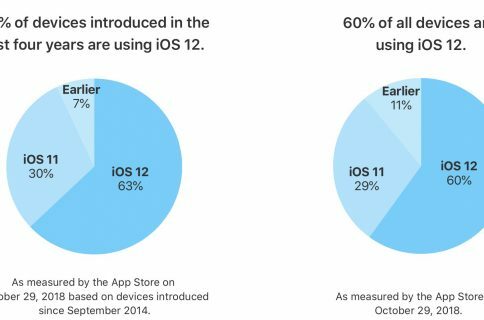 iOS 12 hit the 75.01 percent figure on Monday, November 26, and continued rising in the following days. By comparison, iOS 11 was found to power 19.58 percent of compatible devices as of Monday while the remainder consisted of older iOS releases. 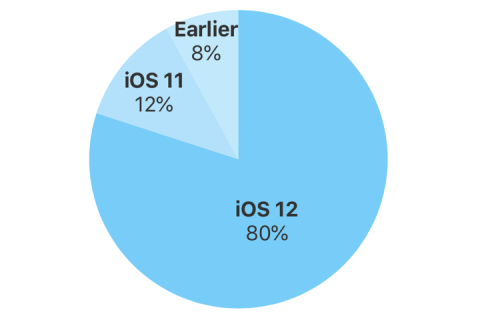 For those wondering, the previous iOS 11 software reached the 75 percent mark on December 18, 2017. In other words, Apple’s latest and greatest software has outpaced iOS 11’s growth last year by a considerable margin, according to Mixpanel data. It should be noted that Mixpanel derives its analytical findings by analyzing data it obtains from various sources, including from apps that use its tracking code, which doesn’t necessarily make its stats reliable. There has been discrepancies in the past between iOS adoption rates provided by Apple itself and third-party analytic firms like Mixpanel. 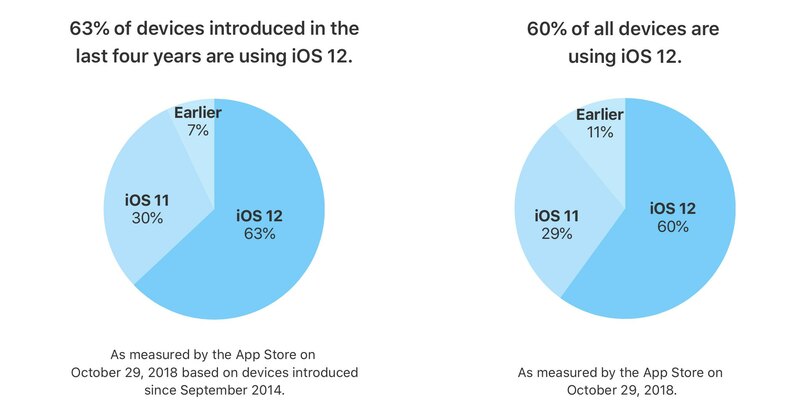 Apple has not yet updated iOS 12 stats on its App Store support page for developers since the last data point a month ago, which pegged iOS 12’s adoption at 63 percent of iPhone and iPad models unveiled since September 2014 and 60 precent of all active devices in the wild. How satisfied are you with iOS 12 so far? Let us know by leaving a comment below.